In Loving Memory of dear husband and father Leonard Peter Burrill of Carlsmoor. Died March 13 1933. Aged 72 years. 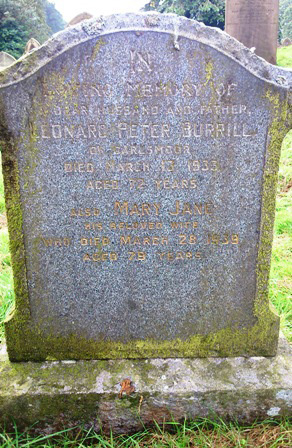 Also Mary Jane his beloved wife who died March 28th 1939. Aged 79 years.